Of this light there are two versions; CW and NW. Of the TN42 family in general there are more versions. There’s the TN42c, which also has internal battery and on-board charging. And the original TN42 is still available of course, too, if you prefer to bring your own cells to the mix. This light retails for around $270. With the cell-less TN42 requiring both cells and a charger, that’s not that huge of an increase ($70) but it’s a fairly steep difference. Edit: updated price! 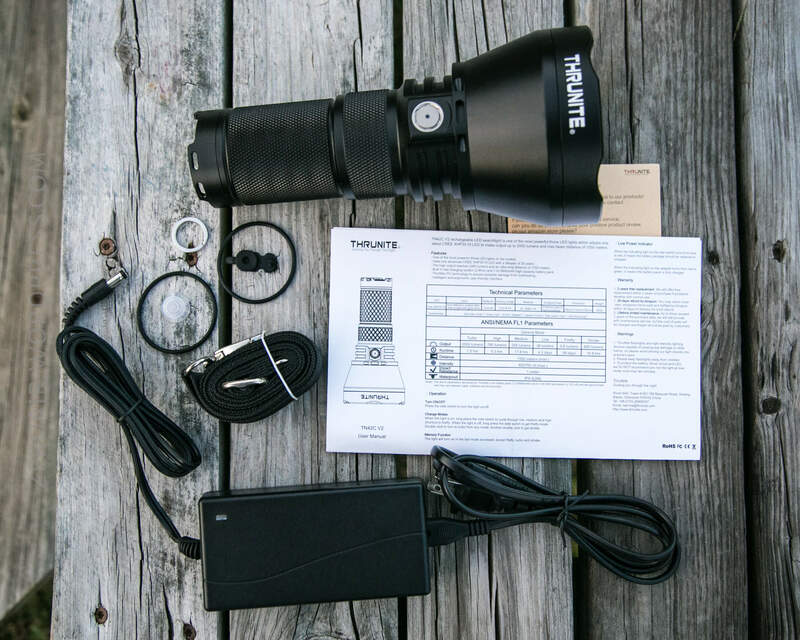 This light goes for $220 now on Thrunite’s official amazon page. Also on the Thrunite website, both lights can get 20% off by using the code: 20%. I like it just like I liked the TN42. The battery pack is quite nice, and the charging proceeds at 3A, which is respectable. I do enjoy the ability to have and charge my own cells, so my leanings are probably toward the TN42. 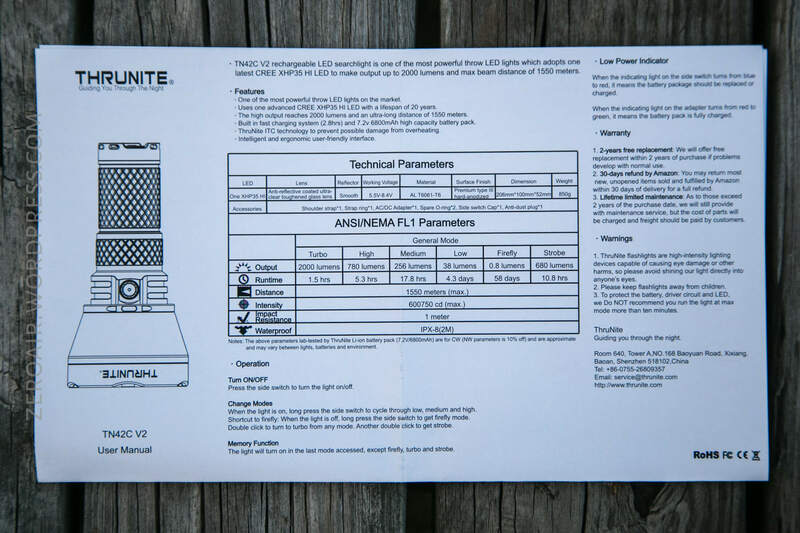 Thrunite has standard packaging, and even their big lights ship in it. It’s a simple flap-cover card board box with Thrunite labeling, and a CW/NW checkbox on the side. 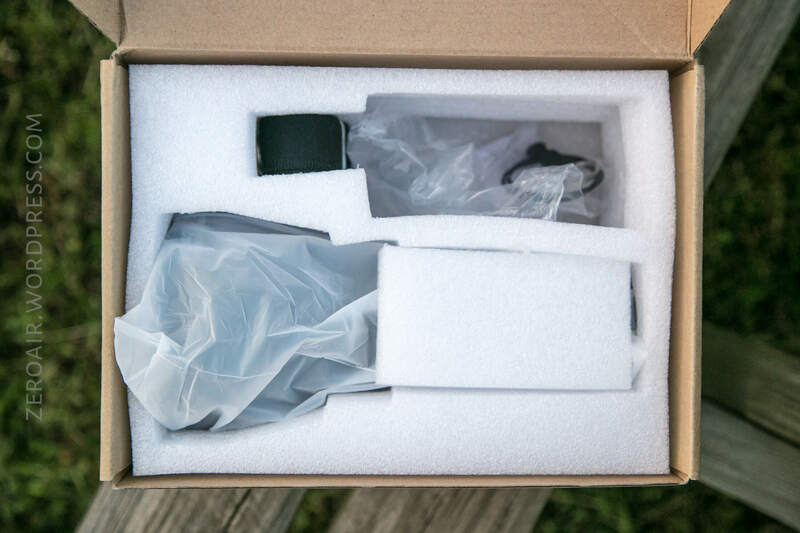 Inside, the light is cradled in custom cut foam, and packaged inside a plastic baggie. It’s very secure packaging. The head has cooling fins, and also the shoulder strap attachment point. The knurling is extremely well done (perfectly uniform) and quite grippy. It’s also in very useful places (head and tail, for easy separation of the parts). That said, this light really won’t ever need to be disassembled, so…. The threads are very nice and well lubed. Both the head and tail have similar connection points. Contact is made well. Three screw hold the cover over the driver (and four for the battery compartment). They are easily removed. Once those are removed, the battery slides right out. Slightly larger than the Convoy S2+. Slightly. It’s exactly the same size as the TN42, however. The addition of charging doesn’t add any length or girth or anything. Here’s the TN42c V2 with the Imalent DX80. 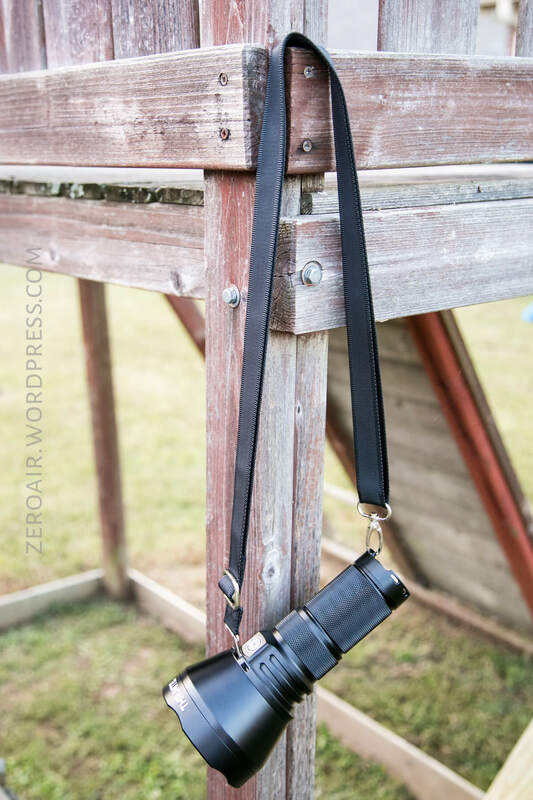 The TN42 ships with a shoulder strap. This strap has a clip ring to connect on the tailcap, and a squeeze … thing… which conects around the head (just over the switch). I don’t love that it’s just over the switch, but it makes sense because of how the light is carried with the strap. This basically puts the switch right at your thumb. Of course the same argument could be made if the strap connector was on the other side, since that’d put the switch right at your index finger. Either way, this isn’t too bad. There’s nothing else for carrying this light. No pouch, for example. And no way to protect that big lens, either! Power for this big light comes from 18650 cells. Four of them. But unlike the TN42, these cells are built in and not intended to be removed. They’re bundled with shrink wrap, and have a barrel plug charge port. Here’s a runtime on Turbo, which is exactly like the runtime from the TN42. Output is essentially the same, too. And here’s High. The light is ridiculously stable on High, until it shuts off. It is possible to turn the light on even after it’s shut down because of LVP, but it will likely not run long this way. The internal battery is charged via this 8.4V wall power adapter, rated at 3.5A. 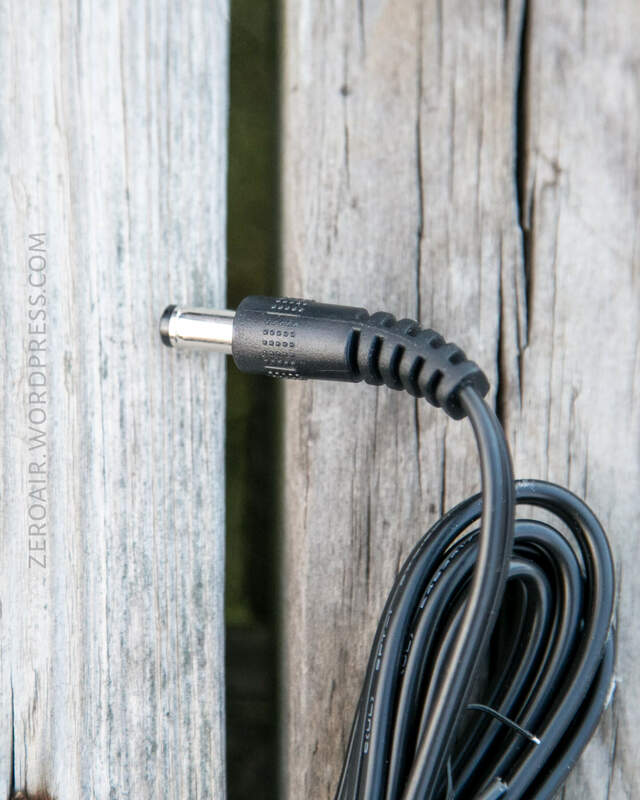 This connects to the light with a barrel plug, which is the standard 12V size (yes, 12V size). The charge port on the light is covered by a rubber plug. The charge port is actually built into the battery, not the light. There’s a single switch on the TN42c V2. It’s just below the head, and is a clicky e-switch with an indication function. It’s exactly like the TN42 switch (which I also loved). I like this switch. The action is low, the pad is wide, it’s metal (or close enough), it’s easy to find…. Thrunite does e-switches right! * There’s a mode cycle that’s hard to explain in table form. When the light is on, the only way to get to High is to cycle from low. If you turn the light on to Medium, and hold the switch to advance, the advance is to Low first, then Medium then High. In fact any time you’re in medium, and you release the switch, the next advance upon holding the switch, will be low, whereby you need to cycle through low and medium to get to high. I found this to be quite cumbersome. Thrunite uses a Cree XHP35 HI for this throwiest of thowers. The version I have is neutral white, and I think that’s the best choice. The reflector is very smooth, broad, and deep. There’s a centering ring around the emitter, too. Some outdoor shots! All of these are with the same camera settings, chosen to be closest to what I see in person. 0.3″ f4 ISO 800 5000K. Lumintop BLF GT Mini. Imalent DX80. Imalent RT35. 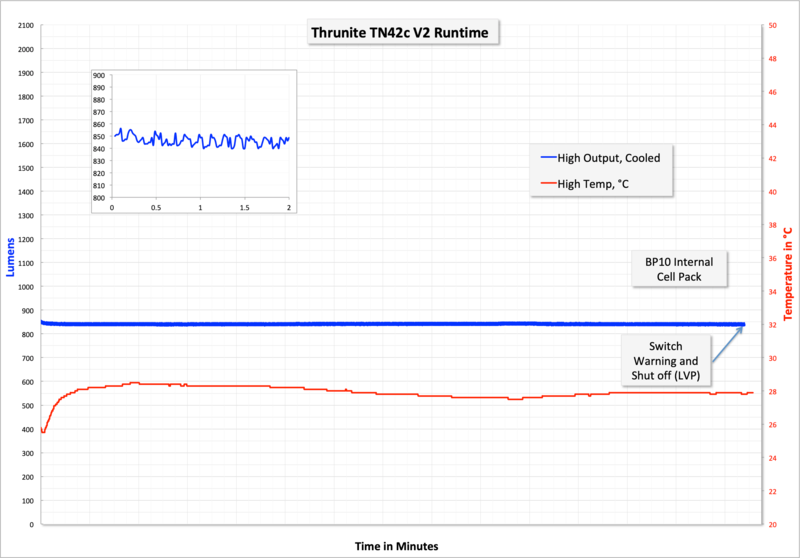 Same settings with all modes of the Thrunite TN42c V2. 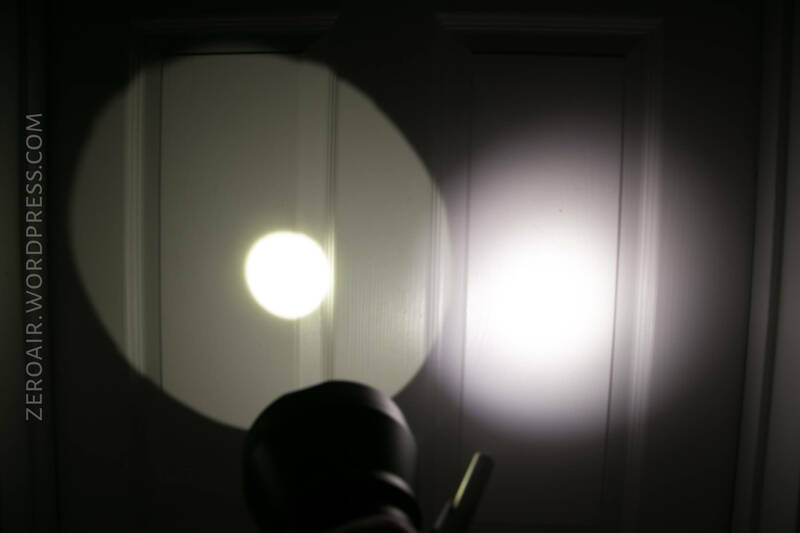 Lumintop BLF GT Mini (lowish, then high). Imalent DX80. Imalent RT35. Yes, there are a bunch of “throw king” Cree XHP35 HI lights available now. But the TN42 family still throws best. 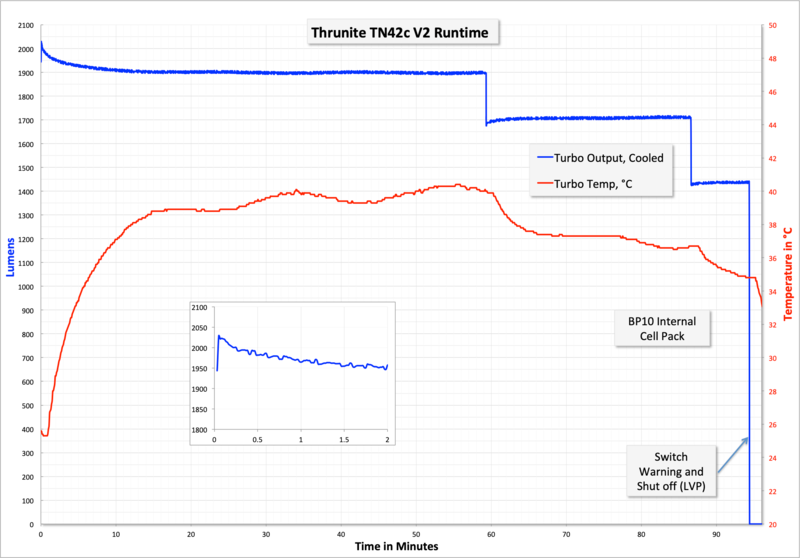 The TN42c V2 doesn’t outthrow the TN42, but at that range it’s a technicality. Yes, the BLF-GT throws farther, absolutely. It also has some UI advantage (if you like ramping, and programmability). I still like the TN42 series much more for usability and the built in battery of this light is no joke. More flashlights for next week! And I should wrap on a cell review (which I find fun, in case it’s not evident in those posts). I have chargers in for review, as well! Lots of things on the menu! Lots of work to do!